Getting work done on a plane is all too often a case of best-laid plans. Even in the ideal scenario where the Wi-Fi works, numerous factors, from your fellow passengers to tweaks to the routing, can quickly leave you out of luck. Traveloka, the leading travel-booking app in Southeast Asia, has just completed a comprehensive survey of tech-friendly airlines, ranking 50 international carriers based on Wi-Fi availability, speed, cost, and other connectivity features such as in-set outlets and USB ports. According to its findings, the top three airlines to prioritize for in-flight efficiency are Qatar, Emirates, and Delta, in descending order. For starters, the company’s methodology focused only on the top 50 carriers in the world, as ranked by SkyTrax, whose annual list—while authoritative—omits tech-friendly airlines such as United on the basis of other factors, including punctuality and staff friendliness. And while such carriers on the list as JetBlue Airways (No. 5), offer Wi-Fi consistently across a majority of their fleets, others like Eva Air (No. 10) have only Wi-Fi on half their planes. According to a Traveloka spokesperson, working around such limitations provides an accurate picture of the “best-case scenario” on any of these companies. “Airlines don’t see a choice anymore—offering Wi-Fi is a competitive need. 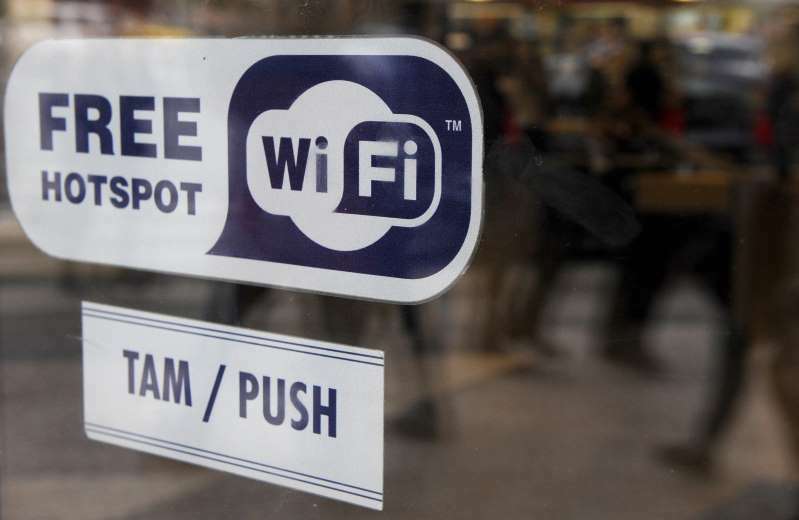 The question is more about what you can expect out of your Wi-Fi, rather than if you’ll have it at all,” says Jason Rabinowitz, the company’s director of airline research. “We’re really trying to set expectations for what passengers will be able to do on their specific flights,” explains Rabinowitz. “We want to separate the slow Wi-Fi from the faster and the fastest.” He points to U.S. carriers Jet Blue Airways Corp., United Airlines Inc., Delta Air Lines Inc., and American Airlines Inc. as the most consistent in their offerings. Plus, as more satellites are launched, wide “constellations” of coverage emerge, meaning that airlines can use a single network without having to pick and choose where they can offer connectivity. “Those coverage issues are becoming a thing of the past,” Rabinowitz says.